When seven Jesuits arrived to set up shop at 32 Washington Square West on Feb. 6, 1909, they had some distinguished company among the buildings flanking New York City’s famous Washington Square Park. One was home to the celebrated novelist Willa Cather; another was the lonely administration building of New York University (most of the school had relocated to a Bronx campus); a third, across the square, was soon to become infamous—the Triangle Shirtwaist Factory, which would burn two years later and provoke widespread public outrage about lax labor safety regulations. One of their closest neighbors on the bohemian south side of the park was Marie Blanchard’s boarding house, the famous “House of Genius,” whose residents at one time or another included the novelists Theodore Dreiser and Stephen Crane, the playwright Eugene O’Neill, the short story wizard William Sydney Porter (better known as O. Henry) and one of the most famous sopranos of the 19th century, Adelina Patti. The Jesuits were there to start another enterprise that would earn its share of fame and occasional infamy over the next 100 years: a weekly periodical of news, culture, religion and the arts with the somewhat presumptuous title of America. Despite the auspicious location, the magazine struggled from the start, developing and eventually thriving today as the only national Catholic weekly magazine in the United States. A look back at those early days finds a fledgling organization that faced vastly different circumstances from those of the magazine today, but also suggests that the early editors and staff of America encountered some of the same joys and challenges that remain a century later. It also discovers an early history of outsized characters among the first editors: raconteurs and wordsmiths without much financial wisdom but with no shortage of zeal for intellectual and theological dispute, both with their readers and with one another. The story of the founding of America is in large part the story of John J. Wynne, S.J., the founder, first editor in chief and guiding force behind the magazine in its earliest days. At the close of the 19th century, there was perhaps no name more highly esteemed in American Catholic publishing circles than that of John Wynne. A founding editor of the monumental Catholic Encyclopedia, longtime editor and publisher of the Catholic monthly magazine The Messenger, and a Catholic polemicist without peer, Wynne was in many eyes the natural choice to start a magazine that he envisioned would “discuss questions of the day affecting religion, morality, science and literature; give information and suggest principles that may help to the solution of the vital problems constantly thrust upon our people.” A confidant of bishops as well as numerous Protestant church and civic leaders, Wynne was often called upon by non-Catholics in his role as an expert in church affairs. Though the idea for a weekly intellectual journal became popular among American Jesuits in the 1890s, America’s lineage in the United States can be traced back to 1865, the year Benedict Sestini, S.J., began publishing The Messenger of the Sacred Heart, a monthly magazine with a religious and devotional bent. Internationally, the history can be traced back to the spring of 1850 in Rome, when the Society of Jesus published its first edition of La Civiltà Cattolica. Widely recognized as an authoritative outlet for Vatican policies and an ultramontane defender of the church and its teachings, Civiltà provided a template for a new type of Jesuit publication, one rather different in scope and content from the academic quarterlies in which Jesuit scholarship had traditionally flourished. By 1925 there were 14 major Jesuit reviews being published around the world in 11 different languages. In a letter to the superior general of the Jesuits in 1888, Thomas J. Campbell, S.J., superior of the Maryland-New York Province, had suggested it was time for a North American monthly scholarly journal that would reflect and stimulate the intellectual life of the Catholic Church in the Americas as well as compete with non-Catholic entries in the burgeoning magazine industry, which included a number of openly anti-Catholic political journals. Though Campbell abandoned the idea after some brief planning sessions a few years later, the Jesuit superior general at the time, Anthony Anderledy, S.J., authorized a monthly periodical for the Maryland-New York Province in 1891. Wynne had previously spun off The Messenger, a more practical religious monthly, from the devotional Messenger of the Sacred Heart and had served as its first editor. Now he envisioned a weekly that would be “a record of Catholic achievement and a defense of Catholic doctrine, built up by skillful hands in every region of the globe.” After his friend John Farley became archbishop of New York in 1902, Wynne began to solicit support from him for a weekly. Archbishop Farley had been an early fan of The New York Review, an intellectual journal started at St. Joseph’s Seminary in Yonkers in 1905 that lasted only three years because of suspicions of modernist influence on its authors (see “A Somber Anniversary,”Am. 3/31/08). He encouraged Wynne in his efforts. After Francis X. Wernz was elected as the new Jesuit general in 1906, he too supported the concept of an American Jesuit weekly. Late in 1907, Wynne’s superiors gave him permission to travel in order to solicit ideas and advice from other Jesuits for a new periodical. In an age without airlines or convenient automobile transportation, Wynne’s travels took him the better part of a year, after which he reported back to the superiors of the Jesuit provinces of the United States and Canada. In January 1909, the American provincials approved a weekly review to be modeled on the British Catholic magazine The Tablet, named Wynne the editor in chief and agreed with Wynne’s request that at least six Jesuits be made available to form the new editorial staff. Despite Wynne’s considerable reputation as a scholar and a writer, making him the first editor in chief carried its own risks for the Society of Jesus. As Jesuit superior general, Wernz had tangled repeatedly with Pope Pius X over what Vatican officials considered modernist infiltration of Jesuit periodicals in Europe, and rumors abounded in Rome that the pope was considering removing Wernz from leadership of the Jesuits. For this reason, it was imperative that the new magazine appear free of any hint of modernist sympathies. Unfortunately, Wynne himself had been accused of promulgating modernist ideas a few years before and had gone to great lengths to deny rumors that he had been called to Rome to explain himself. He had even published a pamphlet denying the charge. He also faced criticism from both inside and outside the Jesuit order that he was too secular, too absorbed in American culture and overly ambitious in his goals for the new enterprise. Other sensitive issues also cried out for resolution before Wynne could begin his operations. Women, argued one provincial, should not be allowed to publish in the magazine; another thought they could write for the magazine but should not have their names printed (male pseudonyms would do). Wynne insisted that “women should not be excluded, but only the most distinguished writers among them should be employed.” Some provincials argued that scholastics (Jesuits in training for the priesthood) should sign only their initials, in order to protect themselves from vanity, and should never be allowed to write the lead article in the magazine. America’s first lay employees included the well-known Catholic writer Thomas Meehan, whom Wynne hired to oversee editorial production. Meehan’s literary career spanned almost seven decades, including more than 30 years as managing editor of The Irish-American and a long stint working with Wynne and John Gilmary Shea, the elder statesman of American Catholic history, in the editing of The Catholic Encyclopedia. Apart from Wynne, Meehan was the only editor with any journalistic experience. Joseph O’Rorke, a layperson who had been the advertising manager at The Messenger, also moved over to America. The first issue contained a weighty mix of news and religious essays, several of which included long quotations in Latin. Articles treated the death of an English bishop, Shackleton’s visit to the South Pole, the election of a new premier in Newfoundland and another addressing the question: “Can a man be a socialist without ceasing to be a Catholic?” Some of the opinions expressed can embarrass today’s reader, including a story on Italy’s elections, which concluded that “recent elections showed the Italian people are unfitted for the use of the ballot.” Literary matters included a review of Mark Twain’s biography of Joan of Arc; the editorial content closed with some “ecclesiastical notes” giving updates on various bishops and Catholic institutions. In order to draw in subscriptions, 60,000 sample copies of the first issue were printed. By June, the magazine had settled down to about 15,000 copies per week; a yearly subscription cost $3, a single issue 10 cents (a price that would hold until 1940). Wynne announced that the magazine would be self-sufficient within a year and boldly predicted a surplus of exactly $10,628 by that time. This would prove to be his undoing. When the American provincials gathered in June 1909 to assess the early months of the magazine, it became clear that Wynne was spending far beyond his means. He had been given $26,000 by the provincials to found the magazine in January, but by June it was already in financial trouble. While the provincials acceded to his request to replace two editors with limited proficiency in English, they also appointed—against Wynne’s will—a Jesuit treasurer to control finances. Wynne distrusted him for his “craftiness” and instead used a lay clerk for financial matters. In November Wynne requested $12,000 more to keep the magazine afloat; the provincials countered with an $8,000 cash infusion. In February 1910, the Jesuit provincials summoned Wynne to St. Louis to report on the magazine’s finances. Wynne admitted the magazine owed another $12,000 on top of the $34,000 the provincials had already shelled out. The provincials, concerned both about finances and the “lordly way” Wynne behaved, recommended to the Jesuit superior general in Rome that Wynne be removed as editor in chief. Wynne argued that all he needed was a competent treasurer, but admitted he might not be the right person for the job any longer. Finally, on April 11, 1910, the ax fell. Six days short of America’s first anniversary, a terse telegram from Jesuit headquarters in Rome arrived on the desk of the Jesuit provincial of Maryland-New York: “Remove Wynne; letter to follow.” For a few months America soldiered along under the direction of Wynne’s assistant, M. J. O’Connor, S.J., before Thomas J. Campbell, S.J., was appointed the new editor in chief in June. He was the same Jesuit who three decades before had started the process that resulted in the founding of America. One of Campbell’s first acts in office was to borrow $15,000 to cover unpaid accounts. A survey of the books at Wynne’s departure revealed the magazine’s available cash reserves to be $17. Wynne, only 50 years old at the time of his removal, had no wish to remain at America in any capacity other than editor in chief, and returned to his work on The Catholic Encyclopedia. 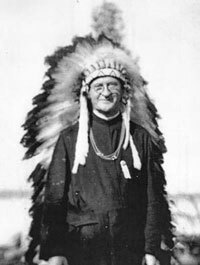 He later served as vice postulator for the sainthood cause of the North American Martyrs and postulator for the cause of Blessed Kateri Tekakwitha. For the 25th anniversary issue of America in 1934, he wrote a glowing encomium that mentioned none of his own troubles at the helm. Under Campbell, whose tenure would last four years, America stabilized its finances and subscription base while charting a careful editorial course. View a pdf copy of the inaugural issue of America from April 17, 1909. This article also appeared in print, under the headline "A Man of Independent Character," in the May 19, 2008 issue.